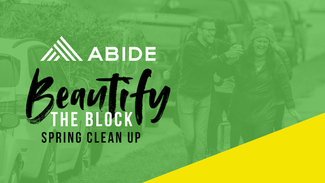 Thank you for your willingness to serve our neighbors, and connect with them in a fun and practical way while creating a more beautiful community! Opportunities like the Spring Clean Up shows love and inspires hope in a way that makes people feel valued- we cannot do it without you! We will be going into the neighborhoods to remove trash and large debris in partnership with Keep Omaha Beautiful! Volunteering to clean up in the neighborhoods!